These are usually a temporary means of helping you transition to successful denture wearing. Because of the muscular readjustment required, as well as the natural shrinkage of gums, the dentures which are placed immediately after tooth extraction won't fit as well as permanent dentures made when the healing is complete. 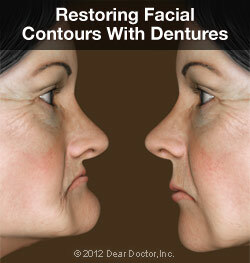 They do, however, provide you with new teeth right away, and give you time to adjust. 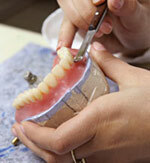 After a period of time, permanent dentures that conform to your mouth with near-perfect accuracy can be fabricated. These are carefully crafted to look as much like your own natural teeth as possible, and are able to function properly in your mouth for a long time. To increase the stability of a lower or upper denture, it's possible for it to be securely anchored using two or more dental implants. 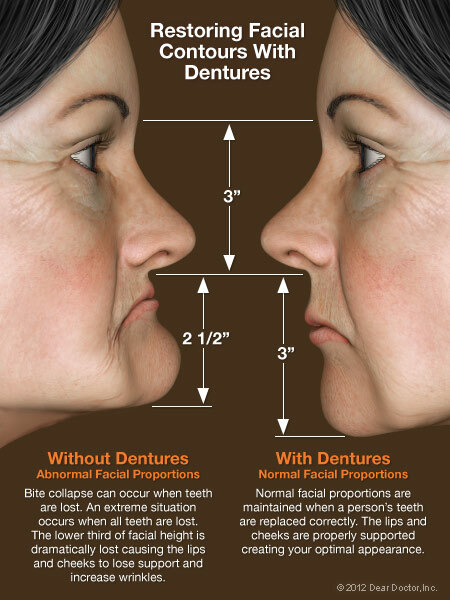 The upper jaw requires more implants (generally three or more) than the lower jaw due to a lesser bone density. Many people find this option offers a great balance of comfort, functionality and value.